Mechanicville City Hall, 36 North Main Street, Mechanicville NY 12118; phone: 518-664-9884. 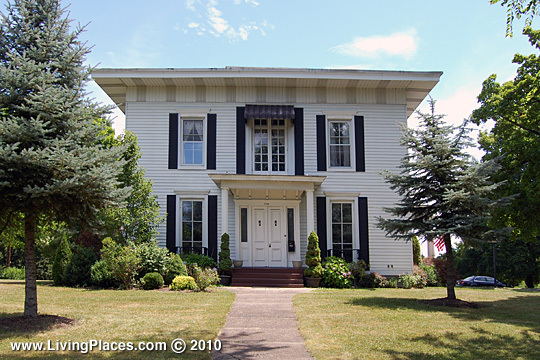 Located on the Hudson River bordering Stillwater and Halfmoon, Mechanicville was incorporated July 16, 1859. It is a station on the Rensselaer & Saratoga Railroad, and contains four churches (Methodist, Presbyterian, Episcopal and Roman Catholic); two hotels, an academy, a district school, two carriage factories, a large planing mill, a sash factory, a linen thread factory, several stores, groceries, mechanic shouts, etc., and about 1,200 inhabitants.